There is something new after school for kids in Mississauga and Milton, Ontario. It’s an education program that draws kids into an environment that is fun and very different than the standard offerings parents generally get to choose from. The initiative was pioneered by Satish Thiyagarajan, who explains that he found it hard to find challenging and fun after school programs for his son. So, Thiyagarajan decided to build something himself. The result is Zebra Robotics. It’s an after-school program that teaches students from Grade 2 to Grade 12 how to build and program robots. “It fits right in with what kids like to do,” says Thiyagarajan. The program was started as a family activity in 2015. Today it is accessible to thousands of students between the ages of 7 and 17. For the younger students it is an introduction to the fundamentals, while older students work on more advanced projects. Junior Robotics is a beginner level course for Grade 2 students. It teaches them how to design and build basic machines, investigate models, and learn about simple and compound mechanisms and structures. In addition, it introduces children to coding concepts with which they can program their models using an intuitive interface. A high school program, called Robotics 900, allows them to design basic circuits and utilize base micro-controllers. With all this new knowledge, students get to build a robot from scratch using electrical components. The different levels allow students to graduate from one program to the next, continuously building upon their skills and challenging themselves in courses which offer a higher degree of complexity. 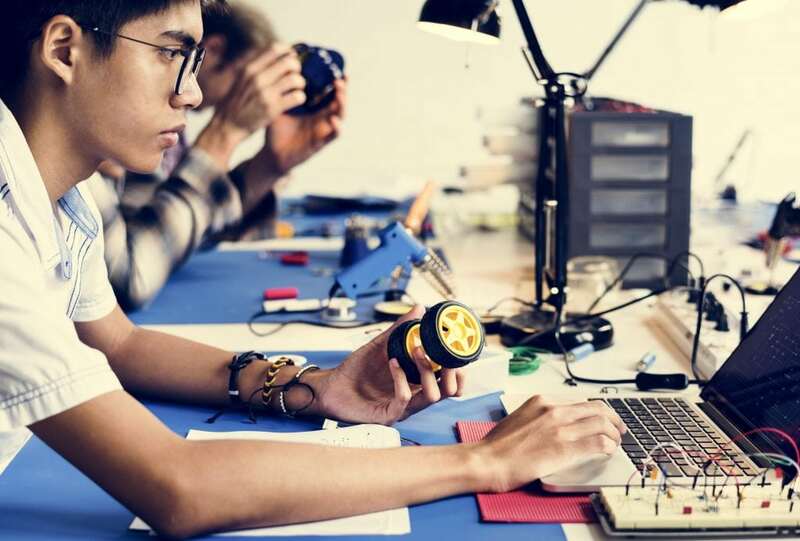 By being involved in the program over the long-term, students can grow with their projects and develop the autonomy to work on them for a longer period of time. What makes Zebra Robotics different from other institutions and programs is that the curriculum is year-round. This allows students to learn at their own pace, without the pressure of having to complete the course within a short period of time. Zebra Robotics has 18 expert coaches in Mississauga and Milton that work one-on-one with students. They are experienced in the fields of computer science, aerospace engineering, and nano-technologies. According to Thiyagarajan, “they all come from varied backgrounds … the common thread is their passion to teach kids.” The Zebra Robotics facility in Mississauga is a 3500 square feet space dedicated to robotics and coding. With the equipment and tools of a real-world robotics lab, parents can be sure that their children receive quality and consistency from their curriculum. Zebra Robotics’ facility comes with one more big advantage. All projects are allowed to live in the space. That means students can continue to work on the same project throughout their time in the program. With this setup, older and more advanced projects can also serve as inspiration. Through these programs, students also train to participate in robotics competitions around the world. 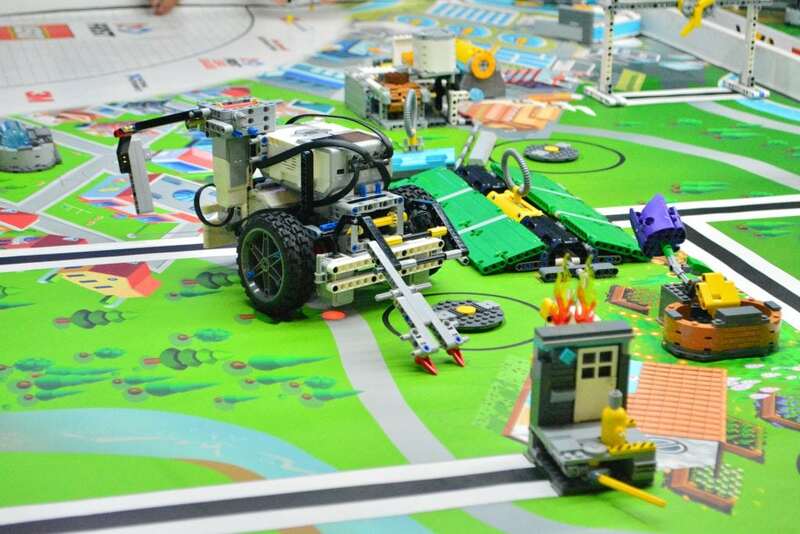 The students get to enter world-class events like First League Lego Robotics, Zone01, World Robotics Olympia, and the Canada Computing Challenge. Zebra Robotics plans on expanding its curriculum to the rest of Ontario and ultimately the world. It recently launched in Bangalore, India’s equivalent of Silicon Valley. The city hosts some of the biggest institutions and tech companies in India. Thiyagarajan also notes that Bangalore has been adopting new technologies better than other cities in the country. In Canada, it is important that school curriculums include coding and robotics. As the tech industry grows, people with these skills become higher in demand. More and more jobs in the future will require these skills. To prepare youth for these positions, coding should be taught with core courses such as math, English, and science. As of August 2017, coding has become mandatory in Nova Scotia, New Brunswick and British Columbia. These provinces have added coding as a part of their curriculum ranging from Grades 1-8. Currently, Ontario and Saskatchewan have not made it mandatory. They do encourage teachers to “use information and technology tools in their teaching practice.” Other provinces are still examining the approach. Satish Thiyagarajansays he is thankful for the many RIC Centre seminars and workshops that he was able to attend to educate himself about how to build this business. “I would receive emails on seminars and workshops that I would like to attend and educate myself. I am very thankful for those opportunities, be it on finance or pitching an idea. The RIC Centre did a good job on organizing helpful events.” The results speak for themselves. Zebra Robotics is a local success that has a chance to take on the world.